"It's astounding how we've been able to grow over the years without losing focus on what the company was founded on, the services and those personal relationships." Dave grew up in St. Cloud and from a young age enjoyed math and science. When it came time to think about a career, engineering was the obvious route. His interest in civil engineering came from the concept of the different seasons. In the winter designing and planning takes place, then in the summer months these projects are constructed and ideas become a reality. Dave began his engineering career in 2000 and serves as the Chaska Civil Work Group Leader. 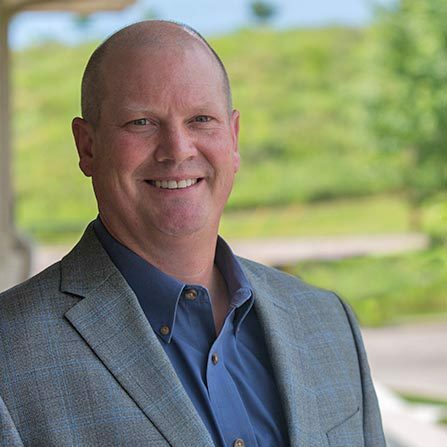 Since that time he has worked on the design and construction administration of a variety of projects including residential and industrial subdivisions, park improvements, and utility upgrades. He appreciates the company's core values and the importance of maintaining personal relationships with our clients, "It's astounding how we've been able to grow over the years without losing focus on what the company was founded on, the services and those personal relationships." And as a true Minnesotan, no matter the season, win or lose, Dave is rooting for his Minnesota sports teams year round.